It is Poetry Friday! And today poets and poetry lovers of all ages are being hosted by Catherine at Reading to the Core! First, I had one wonderful response to my challenge to write at "How to" poem. And that Wonderful How To-er is....none other than the fabulous Tabatha Yeatts! Thanks, Tabatha - this is great...I love "Collect dust. Get wanderlust." Definitely a Rummage Sale Treasure! I wish I had a prize. Maybe I can "rummage" around and find something that was going to go in a rummage sale! Then, I have another poem on Silver Birch Press! It's about how you compare yourself to someone well-known who has your name. My Donna Reed poem, "How Charming", is published there today. I'd love it if you had time to pop over for a quick read ( maybe a short comment? Do you have someone you relate to who has your same first or last name? Next, I have my response to Michelle Heidenrich Barnes' and Douglas Douglas Florian's challenge to write about NOTHING. This is not a very serious poem. I think you will get that. Not too worried. Nothing worries me. It’s cracked up to be. 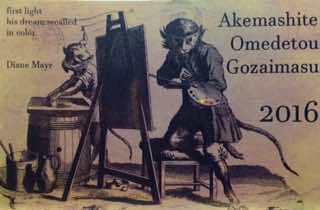 Then I have a postcard that I received from Diane Mayr at the end of December. I'm sorry it took so long to share it. 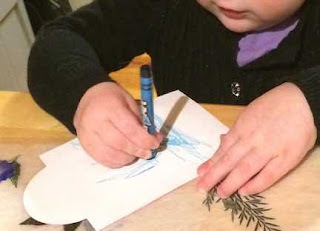 I believe it has been shared on her blog, though, so you may have already seen it. I love how Diane adds the subtle color and words to the images. It was a nice surprise in the mail! Thank you, Diane! I am also doing a postcard exchange organized by Amy Souza from Spark. I received an artsy card from Lisa Kilhefner in DC. I think she's had more snow this year than we have! Thanks, Lisa! You will be receiving my postcard soon! 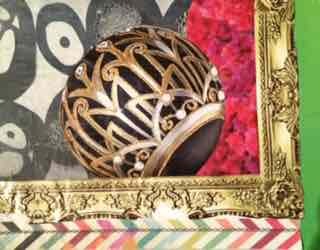 This postcard "collage" has a regal and festive attitude! And speaking of postcards, if you would like a postcard - one of a very local, typical winter scene on the coast of Maine (I took 4 pictures last week), with a haiku I wrote to go with them - send your mailing address to me by email. I will send you one of the four asap! Take out ALL the -dashes-, and use the signs, of course, for the "quoted words". I hate that the computer bots are getting smarter all the time. I shouldn't have to hide my email to protect it. But this is one area I won't be bold in. I have plenty, so don't worry about someone else not getting one because you got one. This time you may be selfish and not think of anyone but yourself! 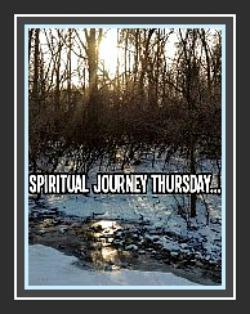 For the next month or so on Thursdays, a group of bloggers will be posting about the spiritual connections to their 2016 OLW. 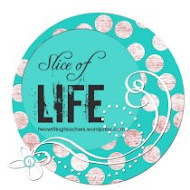 This week's word, "Selah", is Michelle Haseltine's at One Grateful Teacher. Interested in other bloggers' take on this word? Stop in at Holly Mueller's site, Read, Write, Think and check out the Linky! they shall sing to thy name. Selah." My first thought was “Sure, I know what Selah means - pause, be still, meditate on that.” I’ve heard it and read it. But then I decided to look it up. And to my surprise, the origin and meaning of the word “Selah” has never quite been established. It could be the Hebrew word calah, meaning to measure or weigh, or valued. It could be derived from two Hebrew words, s-lah and s-lal meaning to praise and to lift up. Its third derivation could be from salah, meaning to pause, as in music. 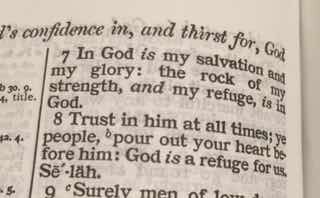 There are many times when I feel the need to “Selah”. Not the word spoken, but the word as a verb, an action, a “what I am doing”. Amen is an agreement word. Selah is an action or a directive. I best understand it when I think of it as the words in parenthesis that are stage directions in a play. They aren't to be so much said as done. In the Psalms, we are directed to take a moment and weigh the import of what we have just read: measure it, compare it, note its value; then praise Him. Not just say “Praise God”. Praise Him with words; thank Him for your understanding, the words, the life, the salvation - whatever you have thought about after that pause and consideration of the words. Selah is so much more than a word. It is a to-do list, a bit of nudging, a way of responding. A way of being present in the Word and the World. I often have to take a moment and think about the magnitude, the beauty and the meaning of things in daily life. These moments can so easily slip away. Writing helps me do that. Writing MAKES me do that. I have to be reminded to selah when things are not going well - are worrisome, painful, or hurtful. In our lowest times we especially need to take that breath, wait and remember the faith that sustains us. "Selah" reminds me of how we teach young children to think about what they've just done wrong. When they have gone awry, when they are throwing a fit, when they just need some "time out"... after a "time out", the calming down, what do we ask them? "What problem were you trying to solve?" "Did that (worry, crying, stomping, fighting) help? "What might you do next time instead?" Perhaps "time out" or "counting to ten" should be renamed "Selah"! I think I like that! I may mention that to my daughter. Wouldn't it be great to hear my 4 year old grandson say, "I need to selah."! A word, a thought, a song? Has he forgiven a wrong? Have God’s Words made a difference? And then let His praises start. Accept His cleansing of shame. Awaits your sweet “Selah” tonight. even the God of our salvation. Selah." Margaret mentioned to me that I might enjoy Thursdays here. I am poking around and I think I just might! So here I am. Present and accounted for. That phrase just popped into my head as started to write the title of my post. Most times the title is the last thing I do. Who knows where I'll end up when I start? And if I do put the title in first, it often has to change. But in this case I'm pretty sure it will not. When I think of being present, as in present in the moment, I am reminded of times that we took pictures or video of events in our lives - to the extent that we missed the real action! The event was viewed through a small viewfinder or little screen on the back of a camera, not in full, real life. I remember there came a time when neither my husband nor I wanted to be the one recording the events. We didn't want to miss it in real life! Or it's like the photographer at a wedding with "posed pictures" of bride and groom, and wedding party. The photographer is there, but isn't really present at the wedding, not a family or friend - The photographer doesn't have to be present at the wedding to enjoy it - that's why we hire them! Everyone else wants to be present to enjoy the event. And as an aside, in the shots the photographer takes, no one really seems present! Oh, yes, they are there. But are they doing anything? What are they thinking about? Are they noticing their surroundings or the happiness of the occasion or are they just trying to stand where they are told and look happy? Are they hoping this will hurry along so they can get to the next phase - food and dancing? Posed and through a viewfinder... I guess you could call those photo shoots "present tense" (lol!). The people may be physically present, but it's not where their minds are. Present means being there in the moment. Present means the gift you give yourself when you are present. Viewing the recording later is not being present at the event. We realized that after shooting video of dance recitals and birthday parties, that we'd really missed the "whole". Yes, you are focused, but you missed out on the surroundings outside of the viewfinder, the noises, the air, the whole "taste" of the experience. Oh, and another aside, but kind of important... all our videos were destroyed with time, flooded basement and fire... so now what do we have? Small images in our minds - images through a viewfinder, not the grand stage. Being present with God is akin to setting the camera aside. It's not just reading the Bible. It's not just singing a hymn. It's not just saying "Praise the Lord." BTW what in the world does that mean? Well, are you going to praise him or not? That's like saying "Say something to the Lord." But you never say it. What was the praise going to be about? So, SAY something to the Lord. Be present with Him. Don't just take pictures and video. Put the camera down. Notice His world. Listen to Him. Breathe. Talk to Him - don't just talk ABOUT talking to Him. If you think I am talking to you, you are wrong. I am talking to me. The word present - and the accompanying "accounted for" in my title, directly implies my relationship with God, with the church, and life. I want to be present and accounted for when that roll is called. I am present and accounted for. What a wonderful thing! And when we know that, we can be oh, so much more present and accounted for in the rest of our lives. I am so much more free to live joyfully and notice the world around me. It won't be mine forever. I don't want to look through a viewfinder or watch the recording of life. I want to live it to its fullest, because I am in the presence of God, as He is present with me always. God is omnipresent. Thank you for sharing your OLW, Margaret, and sending me this way to be present and accounted for this week! Not time that's laid to waste. That God's present, Heaven, brings. It's Tuesday. 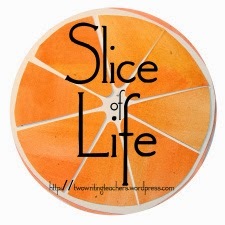 Time to link up with Two Writing Teachers for Tuesday's Slice of Life. I am a retired teacher, who pops in to share periodically there. Pretty soon it will be March! And then it will be a post a day there! I'm going for it again. I reread recent posts and thought about my life as I thought about the word possibilities. It became clearer to me what I have been doing lately; I found that I have been trying to live my life a little more boldly. BOLD is what I want to be, how I want to act, how I want to do things, how I want to approach (of course with an LY then) things. So maybe the word is actually BOLDLY. I am going to eek push a little poem out and sneak deposit it in my pocket. Boldly smile when race is through. I am not accustomed to being bold most of the time. I say that, but some would say that isn't true. I act bold sometimes, but it doesn't come naturally to me in most situations. I can muster bold when I need to. It's not very comfortable though. My boldness can be crushed easily. But I am going to work on bold boldly this year. I want to make some bold strides toward what I'd like to accomplish - and hopefully (do bold people say that?) not get crushed. - get a poem in a written anthology. I have no idea how to. 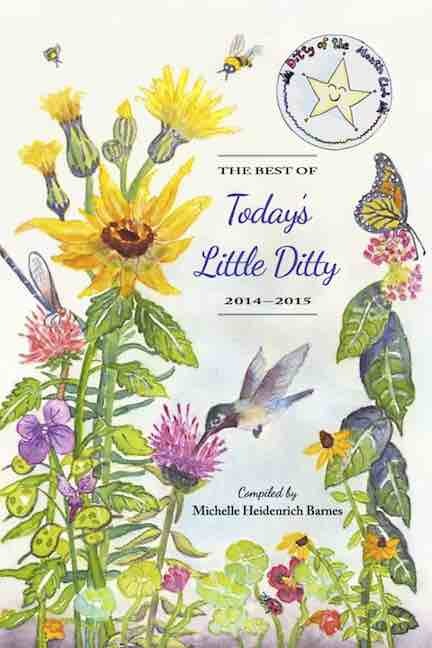 - illustrate a poem and publish it as a children's book. I have no idea how to do that either. - continue to lose weight. I have an idea how to do that. I just need to stay on this path. - paint another picture that I wouldn't mind signing. I'm not feeling bold about this. - write all manner of meaningful things. Scary for me. Are you bold? Do you travel life's road boldly? I am tempted to just delete this post. djfkljfklajdklfja;lfjf That is me having a mini-melt. I am okay. I'm just not sure what I will do with this word (BOLD, not djfkljfklajdklfja;lfjf). Not sure if I can live up to it, or hold myself to it. But I haven't deleted it. Let me remind anyone who would like to take the "How To..." poem challenge, to send it in. I will post the poems and your blog link this Friday. (This was a BOLD move - to have an actual challenge posed by me, and that is a BOLD hint. If you would, I will mail one to you by the end of January**. Please just email me your mailing address. There are going to be plenty to go around! If I find out your address, you may just get one even if you don't want it! It's just my OLW taking over here! d-j-t--sm-ith- -"a-t"--g--ma--il-"d-o-t"--c-o-m Take out ALL the -dashes-, and use the signs for the "quoted words". I hate that the computer bots are getting smarter all the time. I shouldn't have to hide my email to protect it. But this is one area I won't be bold in. *I am actually having quite a few postcards printed through VistaPrint - they have a half off sale today. It does mean they will be a little delayed in getting sent out. **You should have it by Valentine's Day at the latest. Most likely earlier though! It will still be winter! 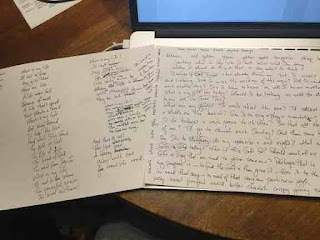 As I was listing my poetry on the links page I'm creating, I came across a poem I had written, copying the process that Margaret Simon had told about doing with her group of children. I went to Margaret's site, Reflections on the Teche, to read the description of the process again. I had been meaning to try another one, so what better time than now? This poem was a surprise to me as I again tried the exercise. The writing that I did in the center part ended up not coming out a poem, as it did the first time. This time I posed questions! Question after question came to my mind. I wanted to write something else, but that just wasn't happening! What would I do with questions??? I circled some key words I'd written, and then began to write on a new sheet. In under 15 minutes, this was the result - as you can see from the photo, the first part just fell onto the paper, with a bit more work revising and arranging the ending. I'm posting this on Sunday. Seems appropriate. I must try this again someday - maybe the next time I clean the Poem Hoem. Thank you for reading today. Poetry Friday is at Tara's today. 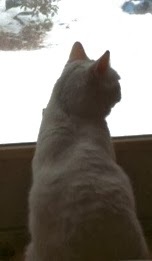 She's looking at snow from a serene point of view and has lots of links to some fine poetry! 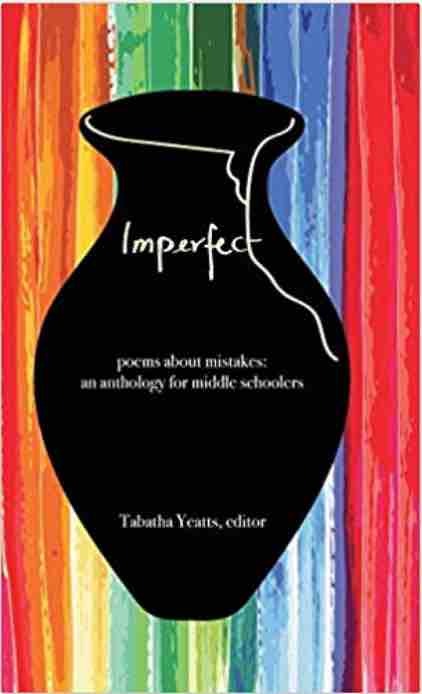 Head on over to A Teaching Life and enjoy poems as you sip hot chocolate and watch the snow fall (at least if you are on east coast south of Maine!). When Tabatha asked me if I had a place to access all the poems I'd written, I thought - Good Idea! Now I'm thinking I need to edit my list! I am up to (at the moment this is hitting the presses anyway) 142! And I've just begun to count down into 2014...I have 2013, 2012, and 2011 to do! I know there are lots in there that could be culled, but I guess that is for another season. Maybe I should go back and write just a short phrase to help sort them out into what the poem is actually about or if it is a haiku or acrostic, etc., just to be helpful. But I'm afraid that would take a long time. Should have thought of this sooner! The page of poem names linked to their location is accessed by the tab "Links to My Poems" below the title "Mainely Write". Not sure how helpful it is yet, but I'm working on it! I came across this post written for a Wednesday a while back, so I figured it would be like new poems. It's my own special brand of "found poem"! I found it while I was organizing my "Poem Hoem". seven’s here to challenge you. Send me your "How to" link and/or your poem and I'll put it up your poem up here for next Friday! Fun! This will be my first challenge offering! I'm excited! Watch how I cleverly disguise my -e-mail-ad-dress-! My poem, "In Mountains", is on Silver Birch Press. I hope you can stop by! The poem is written for the theme "Me in Fiction". I chose Heidi as my character. You MUST remember her! I'd bet most of you have read "Heidi". Oh, I so loved that book - well, those books, really! I also read the next two: "Heidi Grows Up" and "Heidi's Children", when I was young. Most people are probably not familiar with those two books. They were written by Spyri's French translator, Charles Tritten. I felt like I had discovered a secret world in the mountains, and then to top it off, discovered secret books. Until doing a search on Amazon, I had never, since childhood, heard of those two books about Heidi's older years. After reading Heidi, I wanted to eat goat cheese and hardy home-baked breads, and drink goat milk and look up at the night sky through an open window above my hay stuffed mattress. It sounded wonderful and wild! I'd love some comments there...just to show them that someone does, in fact, read the poems on their site! Last year, for Christmas, I got my husband a yellow lab pup, Ginger. And this year, I painted her portrait. I hadn't expected it to come out, so I hadn't put it on a standard sized piece of paper. It was supposed to be practice. My first picture was awful and overworked. This one I tried to do quickly and without much preamble - grab a piece of watercolor paper, a brush, three colors and water. Don't draw. Just paint. Don't think. Just do. I was kinda floored when I did it. Is it a Rembrandt? No. But I'm okay with that. I was still pretty pleased with my watercolor - it's the first one that I've actually signed. Hopefully I will improve with age and practice. But for now, I do like how Ginger's portrait came out. The finishing touch to my husband's gift was having it framed. 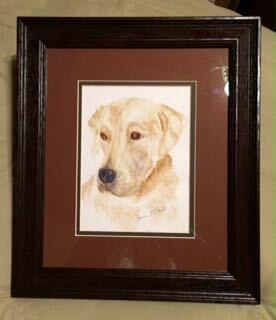 I ordered the frame custom made by Art to Frame on line! It's looks so "finished" now. You pick the frame material, the matte color, or colors if you do a double mat. Tell them the inside dimensions you need for the mat, and they do the rest. It comes all sized just right for your picture to be placed inside. Oh, and you pick plain glass, non-glare finish, or plexiglass. Another offering they have is for you to send them an image or images digitally to be framed or put on canvas. Lots of options for art online nowadays! But the happy always wins! Warm, brown eyes watch you. So I DID finally put a poem up here. And now for more poetry, it would behoove (or is that "beehive"?) you to head on over to visit Keri's at Keri Recommends for the Poetry Friday Roundup! A few weeks ago, the doctor found a lump, and with confirmation from a second doctor, it was determined that I needed a mammogram asap. I gathered my relatives and a few close friends - all prayerful, supportive people - to let them know of the situation. And for two/three weeks we prayed. I think my husband may have even prayed more than I... prayed earnestly for the lump to be taken away. Over Christmas, my grandson - 4 years old - visited. On the day of their departure, he and I were sitting at breakfast together when he asked me, "Nannie, are you going to miss me?" I told him I would miss him. He jumped up and said "I'm going to get you something." He went into his sleeping area and came back with the lamb he plays with while he's here. "Here, this will help you." "So I won't miss you?" "Yeah." A pause then..."Do you know who loves you?" "Um...who?" I asked, wondering what he was about to say. "God. God loves you. And you should never give up." Where in the world did this come from? 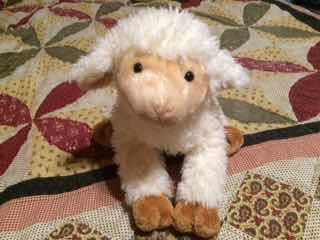 Why would he suddenly decide I needed something like a lamb? Why would he think I needed reminding that God loves me, and that I should never give up? Why...when I needed to hear those words? From a four year old at breakfast? Really? This morning, I went for my mammogram and ultrasound. I brought my Lamb. My husband took the day off in case I would need him, and accompanied me for the testing. My son joined him in the waiting room, as he just "happened by" after a meeting at the hospital affiliated with the offices. Mammogram results - normal. There was nothing there now. Ultrasound followup results - normal. There was nothing there. All test results were normal. Let me again say, thank you, family and friends. Thank you, God. I am amazed. I am grateful. I am humbled. This is only my second year doing the Winter Swap, but it is so much fun! For me it's a time to be able to share a little bit of ME and me - an opportunity to get to feel the "real" of our virtual worlds. Isn't it great to know that there are actual human beings out there in the rest of the world that we know even though we have never met face to face? This is a great tangible way to reach out and know in our digital, virtual age that breathing, living souls are on the other side of that glowing monitor, and that the typed words we are reading, first emanated from a thoughtful mind via fingers with unique swirls and whorls. It's a mind boggling thought for me today. I am going to stop there before I come to tears. Thank you everyone out there for reading! Thank you for commenting! Know that I consider YOU to be my friend! And stones are rolled smooth from their ledges. Is the water inside the great ocean. Stranded on shore cannot hide. For treasures brought forth within reach. To show where you paused in a book. The rest of Poetry Friday is being Rounded Up at Mary Lee's place, A Year of Reading. Go there for more poetic goodies! I will repost about this coming Friday, but if you see this now, (post edited Sunday night) you could read it earlier than that if you wanted.